It's the time of year where people dress up as vampires and werewolves - and probably Ken Bone this year - but for those who have to deal with the waste that Halloween generates, the real horrors rise up from the tombs of cheap costumes and plastic broomsticks. Halloween is a real ‘Marmite’ time of the year. You either get caught up in the pageantry of the occasion or you turn the lights off, pull the curtains shut and hope your local supermarket has run out of eggs. Those who do enjoy the night usually go all-out; buying costumers, hoarding sweets and carving pumpkins. But beyond the fun of being scared, the environment can take a real hit. One-time-only costumes ensure that landfills are stuffed with hole-carved bedsheets and plastic skeleton masks. 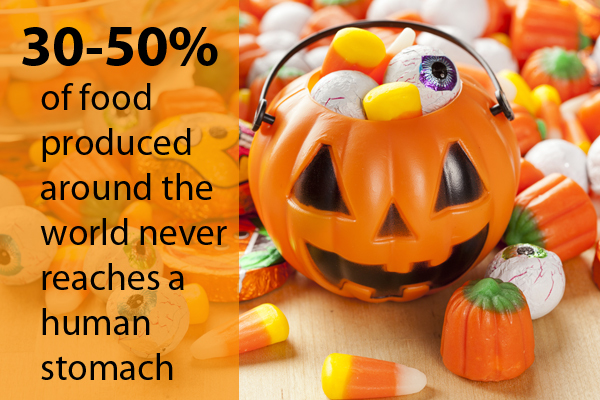 Recycling and food waste are the two big areas that feel the brunt of Halloween. Last year, 15 million pumpkins were carved in the UK – none of which were eaten. 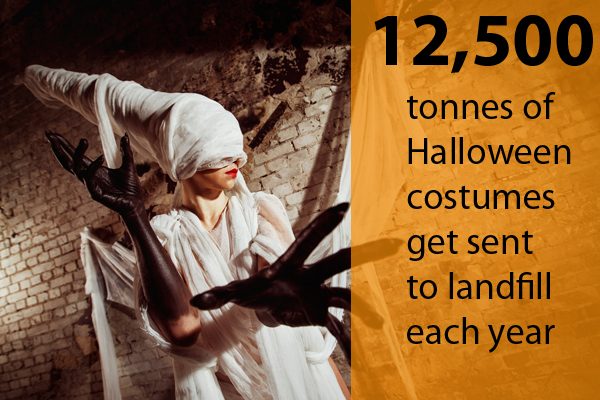 Additionally, around 12,500 tonnes of Halloween costumes get sent to landfill each year. 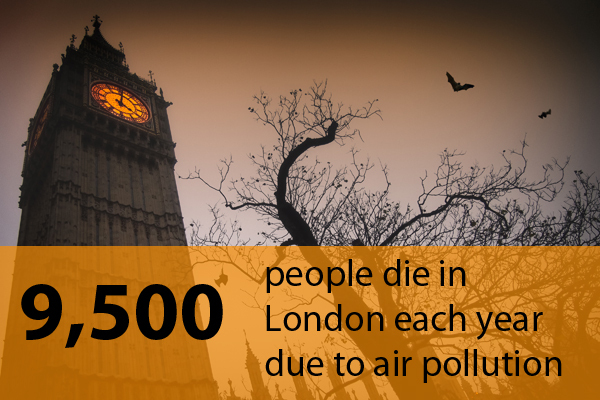 In the spirit of Halloween, why not gather around the campfire as edie shares some terrifying tales and scary sustainability stories – but also what’s being done to tackle them - from one of the most famous nights of the year. While all these facts, figures and trends are alarming, they are also being tackled by the private sector. For instance, Unilever has teamed up with charity Hubbub to urge Britain’s pumpkin carvers to join the #PumkinRescue pledge and ensure that pumpkins are actually eaten this year. Statistics suggest that if every carved pumpkin was eaten last year, the UK would generate enough food to create one bowl of soup for each person in the country. As part of a wider scheme to tackle the seven million tonnes of food and drink wasted in the UK annually, the collaboration has introduced more than 40 cooking and composting events and festivals to help with using the pumpkins. 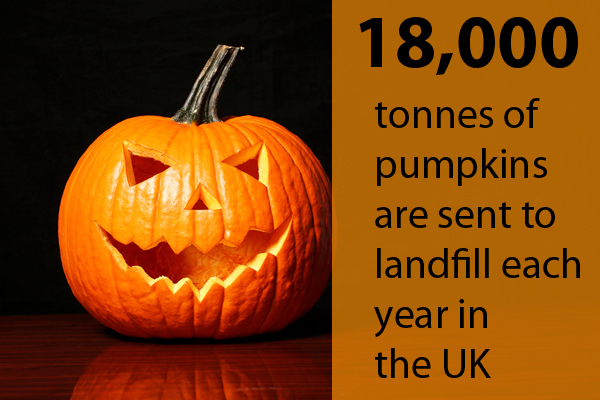 The two organisations surveyed UK households, with 45% claiming that the pumpkins are placed in food waste bins after Halloween. Around 28% claimed that they composted them, but that still leads to more than five million pumpkins heading to landfill each year. According to waste management surveyors BusinessWaste, the days following 31 October are a “nightmare” for the UK’s waste industry. Many plastic and hard-to-recycle items that appear across the UK include: fake spider webs, devil horns and tridents, witch hats and plastic lamps and batteries. "Halloween is like no other holiday in that it generates so much rubbish that gets used for a couple of hours at most,” BusinessWaste’s ‘spokesghoul’ Mark Hall said. “Cheap spooky costumes seem – at least to us – to be the biggest waste. BusinessWaste claims that the majority of batteries used for Halloween items end up in landfill, where the chemicals will inevitably leak into the environment. Last year, BusinessWaste called on households to recycle or compost 18,000 tonnes of used pumpkins after years of rotting fruit filling Britain's bin lorries. One of the cornerstones underpinning Halloween’s success is the abundant supply of sweets and chocolates to pass onto trick-or-treaters so you can go back to watching poorly-crafted CGI monsters on the Syfy channel in peace. However, the US National Retail Federation has actually been observing an increase in “candy” prices, as climate change wreaks havoc on cocoa farmers. The Federation notes that rising temperatures and changes to rainfall patterns could lead to areas in West Africa – which produces around 70% of all global cocoa – becoming unsuitable for production by 2030. Luckily, the private sector is aware of this trend. Many companies including Nestlé, Mondelez and Mars have pledged to source only sustainable and Fairtrade cocoa from now on. Not only is the securing the future of chocolate across the globe, local farmers are also reaping the benefits with better and more secure incomes. For those brave enough to take to the streets on 31 October to scavenge for the aforementioned chocolate, you are likely to come across at least one house with a mock gravestone in it. Graveyards always draw up connotations with Halloween, but in the future they may look very different. 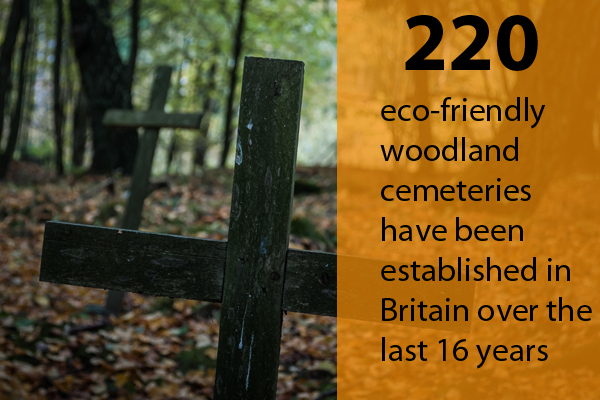 In the past 16 years, more than 220 eco-friendly wood burial cemeteries have been established in the UK. Over in the US green burials are beginning to make waves. With an burial industry worth $16bn in play, it seems that more people are wary of the price it takes to bury someone, and are instead turning to “eco-burials”. A 2015 study by the Funeral and Memorial Information Council has found that around 64% of adults over 40 said they would consider these types of burials – compared to just 43% the year prior. The method sees bodies washed without chemical preservatives and embalming so that aerobic bacteria and maggots can help enzymes digest the body. No headstone is used, with families choosing trees as markers instead. 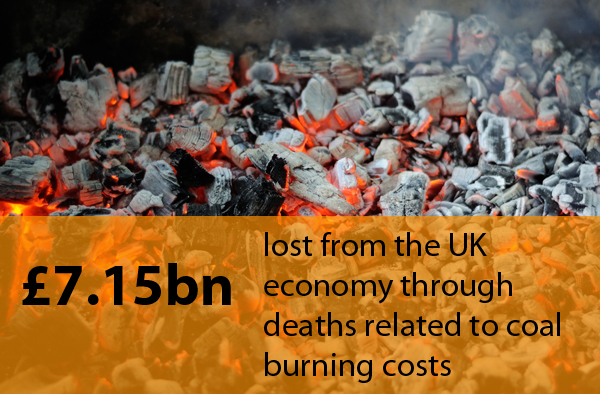 As Bloomberg points out, each year we dump 800,000 gallons of formaldehyde, a toxin, into the soil; as well as 115 million tonnes of steel and non-degradable casket hardwood and 2.3 billion tonnes of concrete into the ground. If more people turned to a more sustainable method, then a lot more resources become available as a result. So maybe these stories aren’t so scary after all, and instead offer hope that more people are becoming aware of the hidden damage caused by an otherwise fun event. 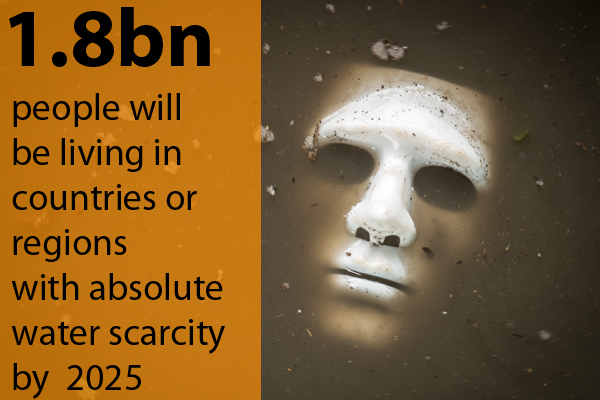 But for those still in need of a horror fix, check out these seven scary sustainability stats below.